If you're heading out to your first mountain hike and thinking of what to bring, here are a couple of tips. Note that this list was created as a guide and not a mandatory checklist. The items featured are based on what I observed to be useful when hiking in tropical weather. Footwear should enhance your experience outdoors and protect you from injury. There are shoes designed specifically for hiking but I encourage you to research the mountain first before purchasing hiking shoes. Will there be sections where you need to cross rivers? How long will you be hiking? If the mountain has a clear and established trail that normally won't take more than 4 hours to complete, you can very well survive on any type of footwear. However, comfort and safety might be compromised, making it challenging to get through the slippery sections. 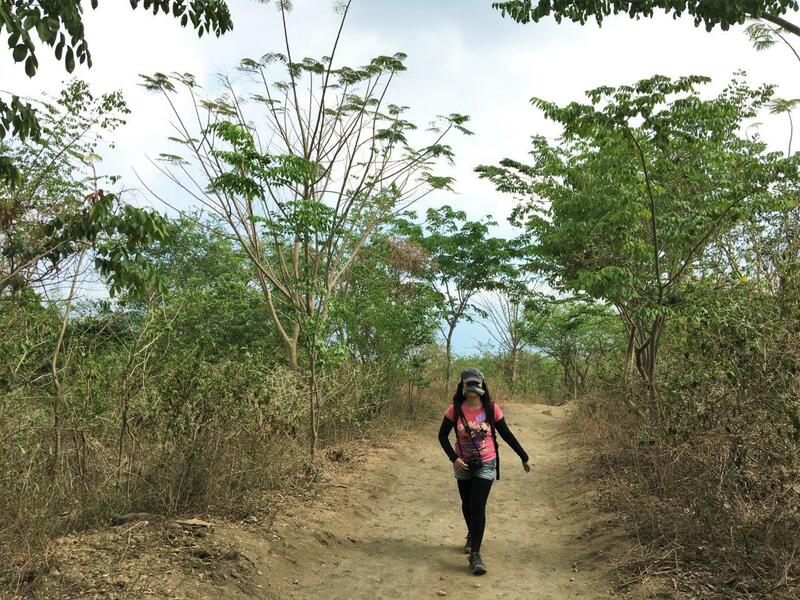 Pick shoes with a good traction (one that can be used in steep, muddy trails which are common in the Philippines) and one that's comfortable enough that you can walk in it for hours and hours. Shoes with a good traction have lug pattern on the outsoles (the outermost part of the shoe which come in contact with the ground. (Recommended read - Hiking Boots: How to Choose) Trail running shoes are also a good option so you can maximize your investment and be able to switch activities. Don't sweat too much thinking about which brand of backpack you need to buy on your first hike. 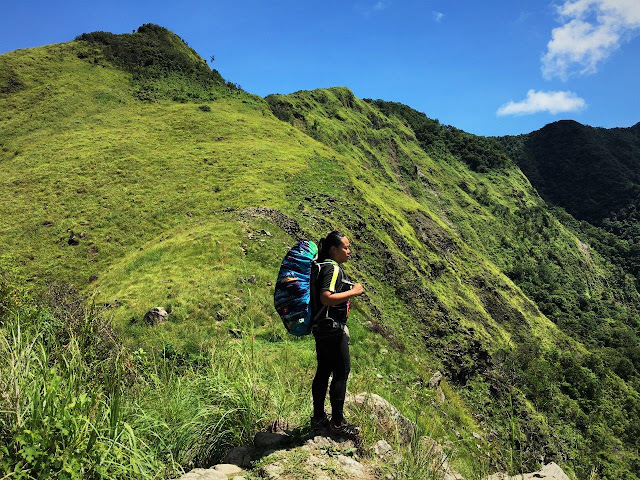 If you already have a sturdy backpack (just check the straps and zippers before using it), that will do, as long as you're able to bring the essentials and use both hands when hiking. Once you've decided you really want to continue hiking, do your research and invest in a nice backpack. Packs designed for hiking have special features that support your back and hips such as adjustable shoulder straps and hip belts. Some also have a mesh back panel (that area in the bag touching your bag) for ventilation which prevents the sweat from your back from being absorbed by the bag. These extra features allow you to hike longer hours comfortably. A good backpack is more valuable when doing extended day hikes - hikes that last 8 hours or more. When hiking especially during the rainy months, protect your stuff by storing it in waterproof dry bags or a resealable bag. A waterproof backpack cover offers added protection from the rain and helps avoid tears on your bag when navigating in the bushes. If you're ready to buy a backpack, check out this post for tips on what to look for in a bag. What I use : Osprey Sirrus 24, a pack designed specifically to fit a woman's frame. It provides good support on the back making it very comfortable to use on long hikes. I'm also a fan of Sandugo Pilot 15 because you can use it for trail running and you can carry a lot with it. Link to FB page here. Prices of hiking bags vary depending on the brand, specs and capacity. To give you an idea, Sandugo Pilot 15 (max capacity, 15 liters) costs 1,845 Pesos. Minimize plastic waste by using water bottles that you can reuse. I've invested in a durable water bottle because I tend to drop things a lot. :P Nalgene is one of the most trusty brands around, though the 1 Liter bottle takes up space (Price range : 525 Pesos-750 Pesos depending on size, available at Basekamp branches listed below) .There are also foldable water bottles around such as Hydrapak (sold at Urbanize stores). How much water you need to bring depends on your needs and how long you need to hike. Also, when the trail has no forest cover and exposed to the sun, you may need to bring more. I normally bring at least 500 ml to 1.5 liters on a day hike. 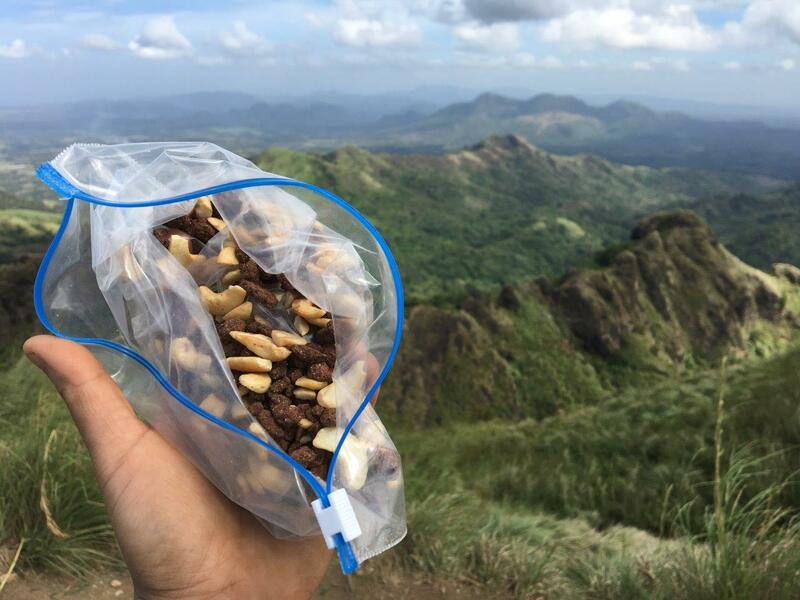 For long hikes (12 hours or more), I would bring hydration salt (you can buy at any drug store for about 11 Pesos per sachet) and mix it with water to make sure I stay hydrated. Before visiting a mountain, please read this short guideline from the Center of Outdoor Ethics on how to enjoy nature responsibly. An essential that you hope you don't ever need to use. I suggest making it as handy and as lightweight as you can so you won't feel lazy to bring it with you. What to pack on your first aid kid? Check out this list from the Philippine Red Cross. Hiking can be physically demanding so eat a good meal before your hike and bring snacks with you so you can replenish your energy while hiking. I usually bring something that's easy to carry (leave that jar of Nutella at home :P) and as nutritious as possible. I also suggest bringing food that you enjoy to help boost morale when the trail gets rougher. What I bring to hikes : cacao nibs, dried fruits such as cranberries (this makes me feel full and energized), mangoes, pineapple, nuts like peanuts, almonds and cashew, chia seeds in water. Whenever I can, I hydrate the day before the hike by drinking 500 ml-1 liter of coconut juice. This is always in my bag even if the itinerary does not involve hiking in the dark. It's best to be prepared in case you end up extending your hike until nightfall or if you find yourself exiting at a remote community that does not have electricity. Make sure you put the batteries in. You can also utilize the flashlight apps on your phone (just bring a power bank to charge your phone), though not as convenient as a headlamp which you can use hands-free. What I use : I'm using a Black Diamond Storm and for back-up, Sunree Ree headlamp from Basekamp (940 Pesos). Help preserve the beauty of the mountain by bringing your trash back with you. If you see garbage around, pick it up as well for proper disposal. I never get why some people think it's okay to throw their trash in nature. When bringing a bag, make sure that it won't rip easily and soil your stuff. A mini carabiner comes handy when you need to clip stuff together so it doesn't fall off or for hanging stuff. For example, clipping your water bottle to your bag, hanging your dry bag in the changing room. If you're visiting communities near the mountain, you'll most likely have to use spartan bathrooms with no hooks to hang your dry clothes. Where to buy : I get mine from hardware shops. Basekamp also has this cool whistle carabiner (100 Pesos). Check out their merchandise on their Facebook page. A tubular shaped bandana is easy to wear on your head, helps keep sweat and hair off your eyes and can also be used in a dozen different ways. It's a fashionably functional accessory, offers protection from the cold, sun, dust and can be worn as an eye mask to help you sleep better while traveling to the jump-off. After your hike, give your feet a break by changing into slippers or sandals. Sometimes, your shoes get so muddy, you wouldn't want to wear them with your clean clothes and you end up having to look for a sari-sari store or market that sells slippers. Avoid the hassle and added expense by packing a pair. These handy travel pouches keeps your stuff organized and easy to find. I find those with mesh material more convenient to use because I can easily see what I've stashed in it. It's also a plus if it has a built-in hook so you can easily hang it. Hammock Republic sells affordable travel organizers at 200 Pesos per set (plus shipping fee). If you plan on getting any item on the list above, check out Basekamp PH for your travel and outdoor gear needs. Facebook Page link here. The "Shop" tab on their page features some of their products including price and specs. NOTE : Photos with watermark were taken by Jed Rosel aka Biyaherong Barat during our camping trip at Tarak Ridge, in collaboration with Basekamp PH.